Many workers applying for jobs today have a gap in their employment history. While this isn't an automatic downgrade to your job prospects, you should be ready to address the issue during your interview because it's likely to be one of the first questions your interviewer is going to ask you. It will be easier if you take a few steps in advance to position yourself for returning to work after a career break. You may have already addressed the gap in your resume or cover letter. If you have, use what you stated as a starting point for a discussion. If not, take the time to frame a response before you go to an interview. That way you won't be caught off-guard without a response. 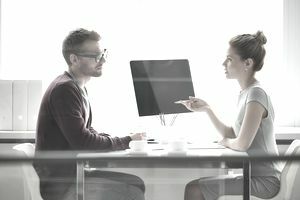 Interviewers will usually be interested in learning about when, why, and how you left your previous positions, along with any resulting periods of time on your resume not covered by paid employment. They will be curious about your motivations for leaving if you left voluntarily and spent time outside the workforce, and may also want to know more about your situation if you were fired or asked to leave. If you can, emphasize anything constructive which you did during your time off, particularly elements that reflect positively on your character or are related to the position you're applying for. Responses like "I took time off to complete my MBA," "I prepared for and passed the test for my Certified Financial Planner designation," or "I focused on my volunteer work and started a new mentoring program for inner-city youth" are examples of answers that emphasize positive aspects of your time off. Relate any skills or knowledge that you cultivated during your time off. Some candidates won't have such a clear-cut a story to tell. Maybe you just took time off for personal reasons such as dealing with a personal or family issue. If you addressed a problem and resolved the issue, then you might want to share that story with your interviewer. For example, you might mention that you took time off to rehabilitate from an injury or help care for an elderly parent. The key will be to describe the issue as a past problem that will no longer interfere with productivity. If you took time off to do something fun like spending the winter skiing, traveling through Europe, or mastering golf, then it's important to demonstrate that you had a solid work ethic before and after your hiatus. For example, you should provide examples of how hard you worked on key projects before and after your break. Offering recommendations from supervisors who can attest to long hours worked, high energy, and optimal investment in the job is a good way to back up your answer. In a case where you were laid off from a job resulting in a period of unemployment, share the reasons why there was a reduction in the workforce and reference any indicators that you were in good standing at the time. If you spent the gap volunteering, developing a new skill to increase your relevancy in the workforce, working pro bono, or using your time in some other productive way, be sure to include it in your answer. If the gaps in your resume are a product of termination, you need to prove to your employer that the reasons why you were fired are no longer an impact on your overall performance. If there were reasons unrelated to your current target job, you could mention those. For example, "I was working as a principal at the time and had difficulty managing the budget effectively. I decided to return to my first love, teaching, where I had previously excelled, and you can see that my teaching reviews have been very positive since that time." You can also spend a bit of time explaining what you learned from the incident and any changes you have made in your attitude or your work ethic. In all instances where you need to account for a gap, you should share as much concrete evidence of your success in the jobs prior to the gap and after you resumed employment. Itemize your accomplishments by referring to situations where you intervened, specific actions you took, and the results you generated. Emphasize how your company benefited from your role. If possible, secure recommendations from supervisors to support the explanation you plan to give during the interview.